The festival presents a powerful lineup of local and international films by world-class emerging filmmakers from Mexico, Brazil, Peru, Spain, Colombia, Chile, Costa Rica, Guatemala, Argentina and the United States across three short film programs. The talented filmmakers include multiple-award-winning directors, writers and producers whose films have been programmed and awarded across Europe, South America and in the United States, including at SXSW and Sundance. Doors will open to the public at 4PM with a pre-reception for the first shorts program, and the night will include a pre-reception before each of the evening’s programs, where attendees can sip cocktails and mingle with industry professionals and festival selected filmmakers in the lounge. The event will conclude at 11:30PM. Tickets are available for $5 per program advanced purchase / $7 per program at the door and $15 for all-night access passes, which provide access to all three film programs with open bar throughout the entire event. 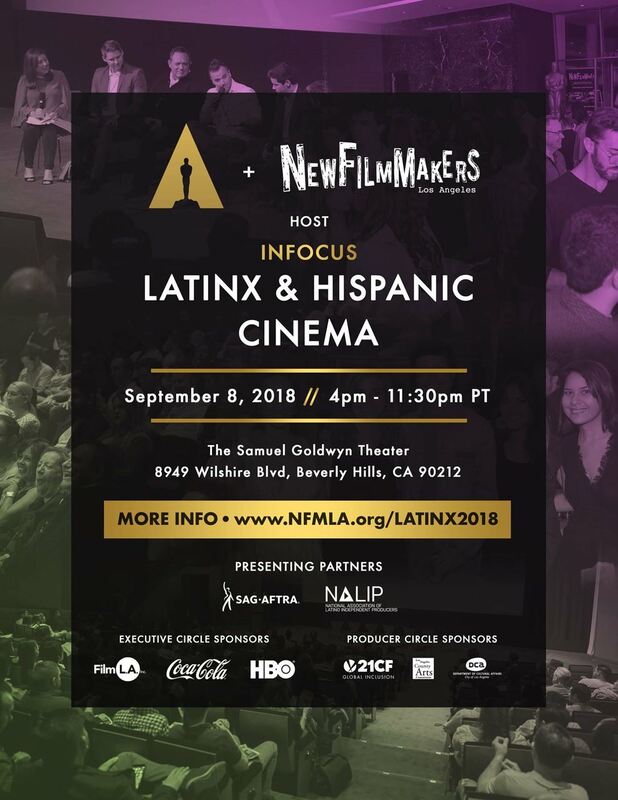 The NFMLA Film Festival is presented throughout the year with support from Executive Circle Sponsors FilmLA, The Coca-Cola Company and HBO, Producers Circle Sponsors SAG-AFTRA, 21st Century Fox Global Inclusion, Hollywood Foreign Press Association (HFPA | Golden Globes), LA County Arts Commission and LA City Department of Cultural Affairs (DCA).